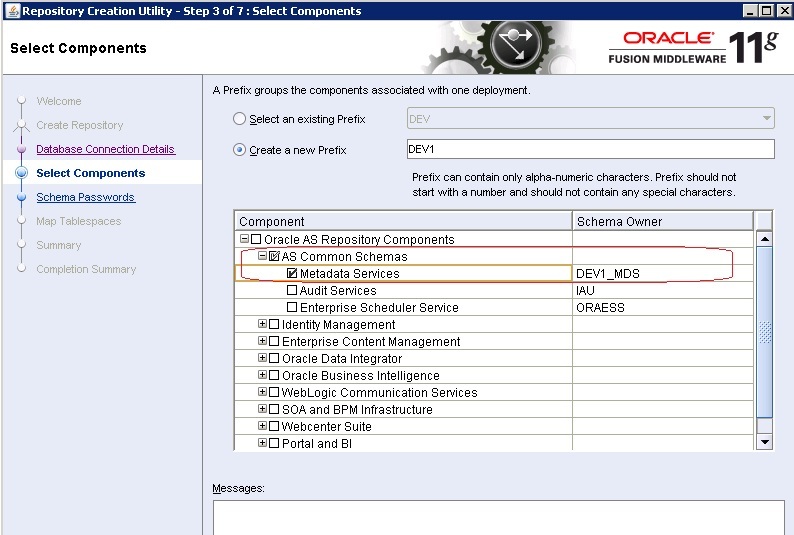 Metadata Services (MDS) is a feature provided by oracle to store customization and personalization information in a repository. 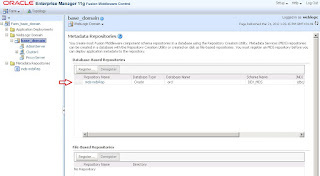 The repository can either be stored in a database or in a file system as we will see. 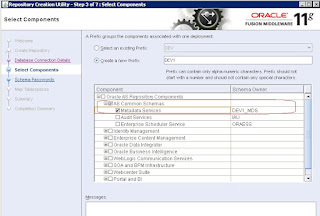 for example if there is a screen has a table this table has 8 columns, and there are a user (User1) want to see only 4 columns and hide the others. 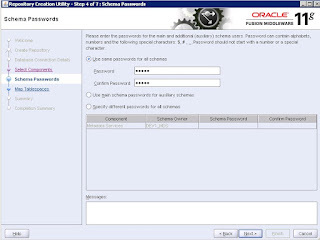 When User1 login again he want to see last changes which he make (see only 4 columns), the user can see any changes he make in the screen only if you apply MDS to your application. 1.Pages should be (.jspx) not (.jsp). 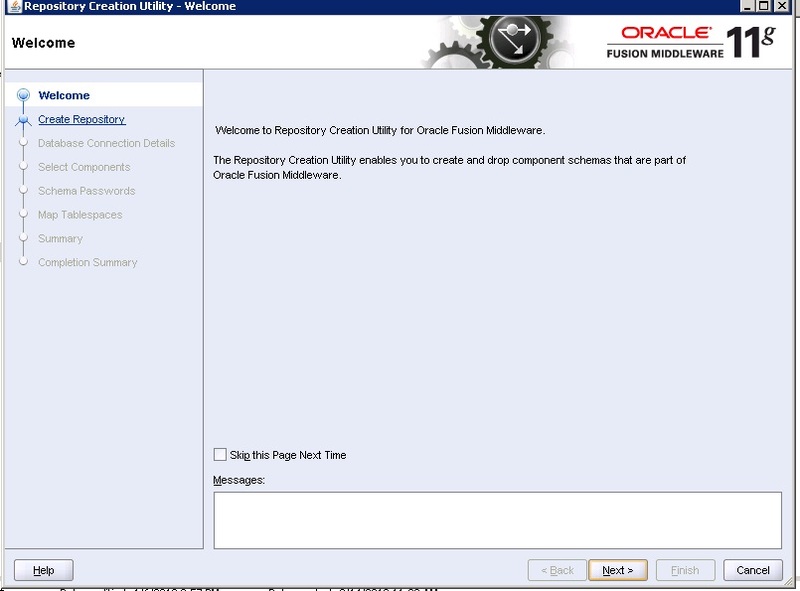 2.In your project properties --> ADF View check on "Enable User Customizations" then select "Across Sessions Using MDS". - getName() which return the folder name that hold all users changes. 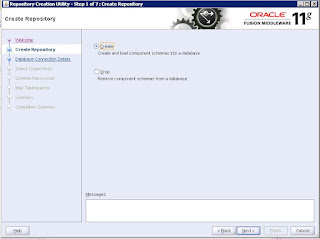 - getValue() which return the folder name for the login user. This folder should be unique for every login user and will saved inside the getName() folder. 4. In Application Resources --> Descriptors --> ADF META-INF open adf-config.xml. 6. 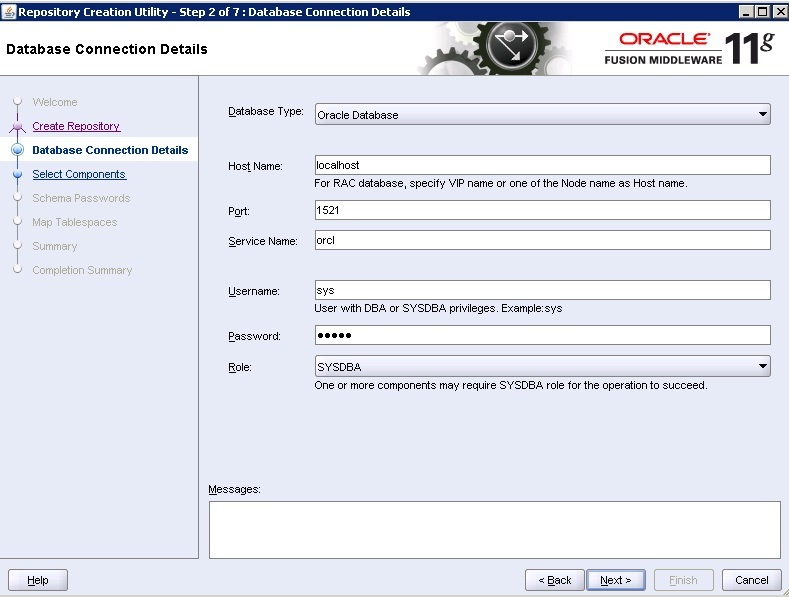 In adf-config file go to View tab and add all Tags. 7. Now you apply MDS to your application. 8. 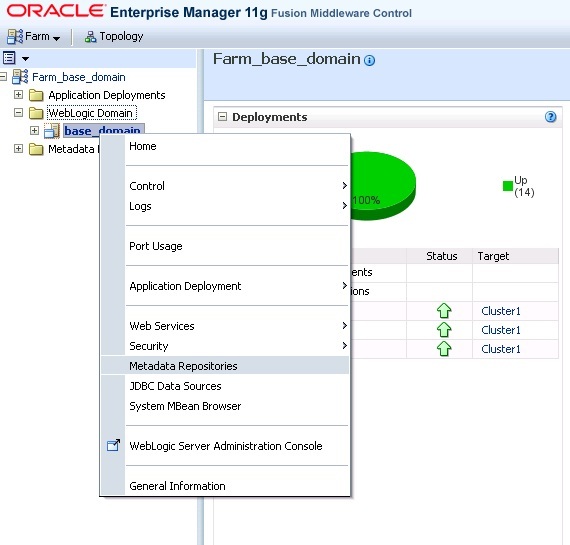 If you run your application in Integrated Weblogic there will be no problem, you should only specify the path to store the users changes (changes will stored in file system). 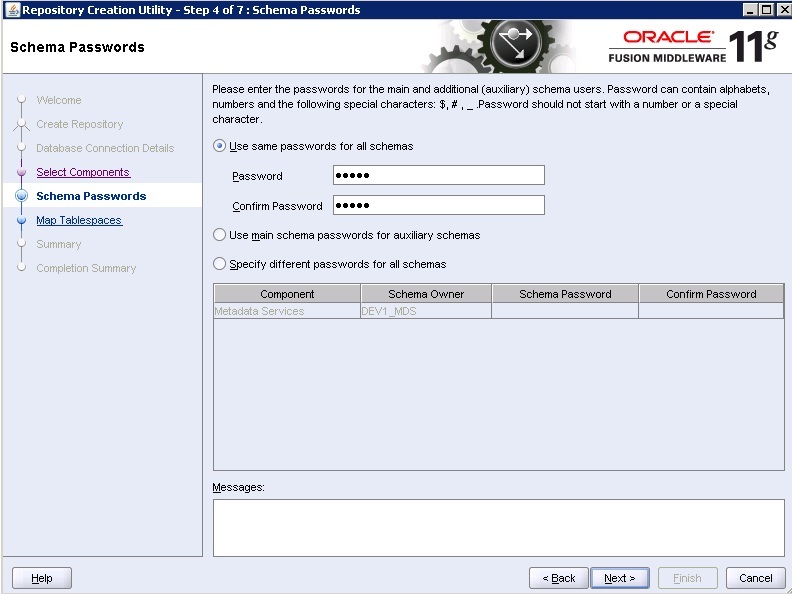 You will find this path in your Application properties --> Run --> MDS. 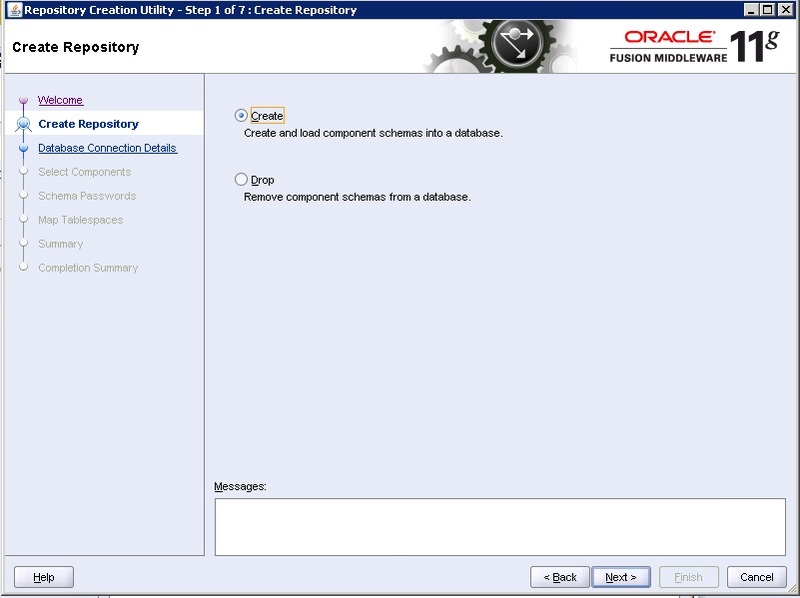 RCU will create a new schema in your database which hold all the changes. 10. 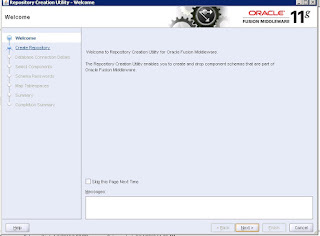 Unzip RCU downloaded file and go to rcuHome --> BIN and run rcu.bat. 11. 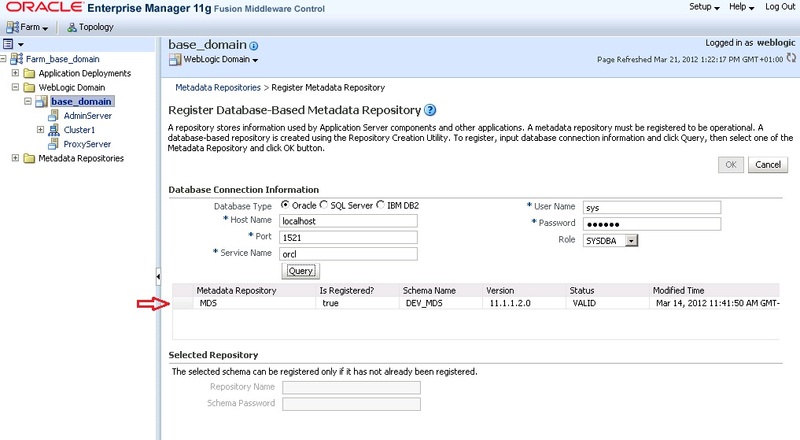 After finishing installation of RCU you should configure you weblogic domain to the MDS Repository. 14. 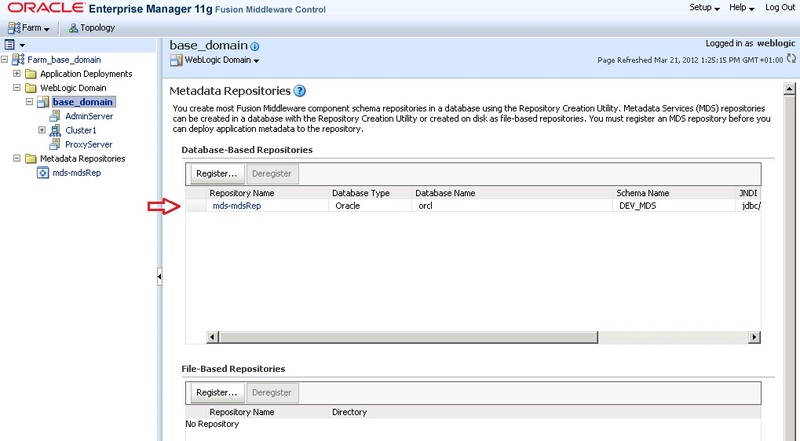 Right click in you Weblogic domain the choose "Metadata Repositories"
You will find your repository information press on your repository and enter Repository Name and Schema Password Then Press OK.
16. Now you register your MDS to Your Weblogic Domain. You can select it and choose the target. 18. 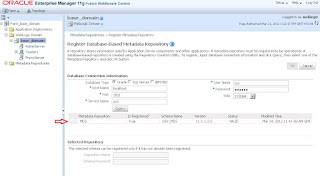 Deploy your application directly from JDeveloper to your weblogic server the MDS Deployment Configuration will automatically opened with the configurations of your MDS Repository you should only enter the Position Name. Nice Post !! Very useful Info. 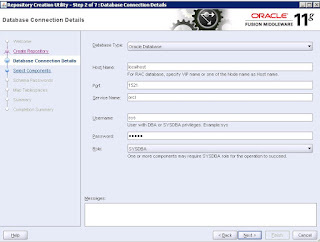 This is the information that I was looking for and let me tell you one thing that is it is very useful for who is looking for ORACLE ADF. 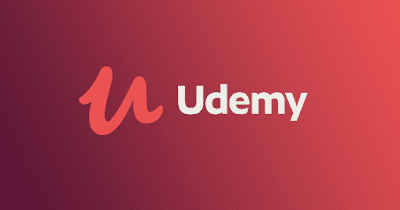 of your site iѕ fantastic, ɑs աell as thе content material! This Guy@Sameh NAssar Great Job Bro.Keep It! Thanks For Posting Such A Valuable Post Its A Pleasure Reading Your Posting Coming To Our self We Provide Restaurant Service Parts In Us.Thanks For Providing Such A Great And Valuable Information.Have A Nice Day.